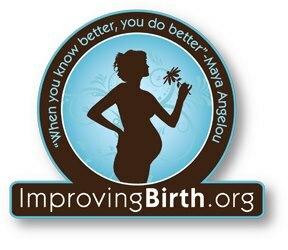 The Improving Birth National Rally For Change is coming up- THIS Monday- Labor Day (September 3rd). The main page for the rally is here. You can also find your closest rally on this page. If you are in Nor Cal (Sonoma/Mendo/Lake counties) your closest rally info can be found here. Ruthie D is the coordinator. You can find location details for the Santa Rosa Rally here. They will be meeting at the local Kaiser hospital on Bicentennial. "Our mission is to reduce the unnecessary induction & unnecessary c-section rates in the United States by bringing education and awareness to birthing families, birth workers and hospital administrators. We offer evidence-based research to support the normalcy of birth. We are an organization that believes birth should be “principle over profit” and secrecy should be trumped by honesty, putting mothers front and center and squarely in the driver’s seat of their birth choices." I am so grateful to Dawn Thompson and all the work she has put into organizing this HUGE endeavor. She contacted me about her page probably a year ago and I had never heard of it. I didn't really know what would happen. Lots of people talk about doing something but to actually DO it... well, there is a big difference. Props to her for making this HAPPEN. Much respect goes out to all the hundreds (if not thousands) of women who have put hundreds of hours of work into this. Because we need to IMPROVE BIRTH. We really do. Thus far the desire to question the crazy c-section rate and the even crazier induction rate has been met with rolled eyes and muttering about how "some women" just need to be grateful for a healthy baby. We are all grateful for healthy babies. We are all grateful for skilled medical professionals. We are also grateful for beautiful female bodies that can birth so well, so frequently, without all of these interventions. We are grateful for care providers who know the difference between "need" and "golf game". We are grateful that we can work together to make a difference for ourselves and for other women. Women also know that birth can be more than it usually is in the typical turn 'em and burn 'em hospital. It can be AMAZING!